Access to green space is every urban-dwelling family’s dream. At Lenox, you’re surrounded by parks that offer everything from playgrounds to ice skating and even a man-made beach. Ideal for families looking for activities for their kids, Lenox is located in a neighborhood that ensures residents will never grow tired of the beautiful, amenitized parks right in their backyard. 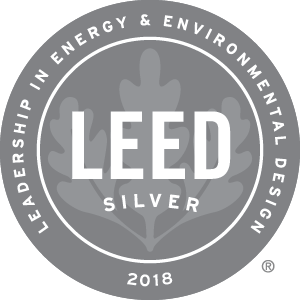 This park was created in 2012 as part of the continued revitalization of Jersey City’s Hudson River waterfront, and was met with an enthusiastic response from the community. 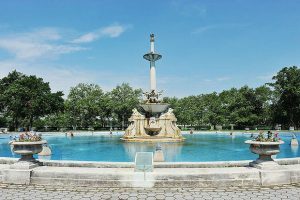 It features the Hudson River’s only man-made beach, playground, splash pad and carousel. 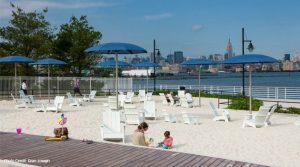 Kids aged 2-12 can take advantage of all the amenities this park has to offer including rope climbers, rock walls and slides, while the parents can relax at the umbrella-covered picnic tables, with the Manhattan skyline as a backdrop. A seven-minute walk from Lenox, Van Vorst park is a lushly landscaped green oasis in the heart of the historical downtown district. 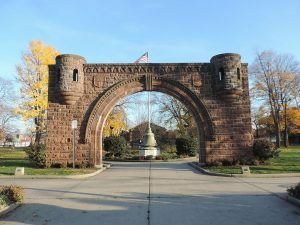 Residents of Jersey City enjoy access to its beautiful gardens and gazebo, playground, dog run, and weekly farmer’s market. It’s also in close proximity to the Public Library, and Zeppelin Beer Hall/Garden if you’re looking for after-park activities. What’s better than a playground? How about a sprayground? 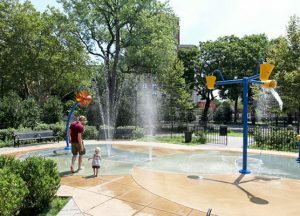 Hamilton Park has become a beloved hub for the neighborhood with its expansive open areas, kids playgrounds and water park, tennis courts, multiple dog parks, gazebo, farmers market and more! 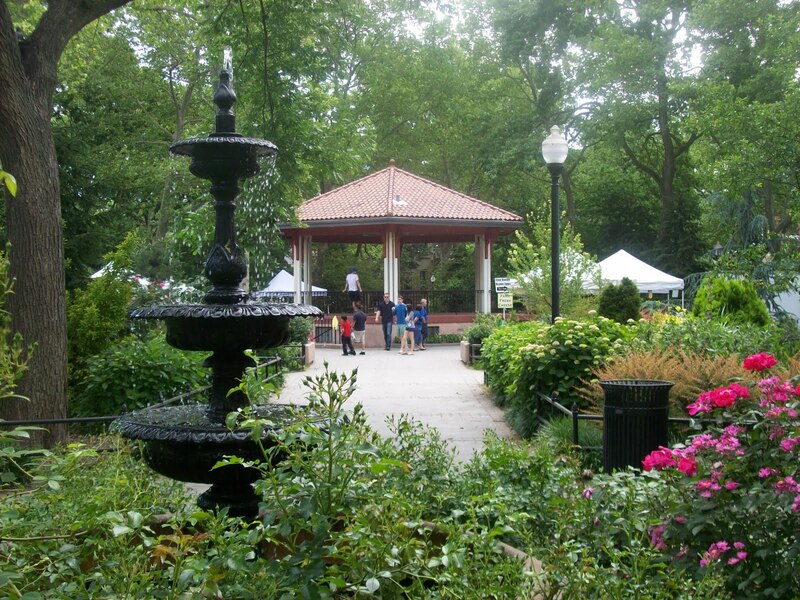 The Wall Street Journal cites this dynamic park as helping to attract families and new residents to the area. This park is known for it’s sprawling greenery and year-round activities for the whole family including a skating ring, and swimming pool, track, baseball, tennis and a children’s playground round out the list of reasons why you’ll want to bring the whole family here for a day of fun. Bonus points for the community center that offers classes like Zumba. This massive urban park spans nearly 275 acres and offers almost every recreational facility possible. The park features 21 outdoor tennis courts, seven baseball fields, a cricket pitch, three children’s playgrounds, a running track, five basketball courts, two football fields, two soccer fields, and four handball/paddleball courts. There is also a 3 acres lake available for fishing. And that’s only in the East side of the park.